BFM Camlon connectors are predominantly used in applications where the connector is running under continuous pressure of up to 1.3bar. The Camlon outer layer restricts the Seeflex 040E inner layer of the sleeve from stretching. NOTE: Engineering adjustments should be made for changes in diameter. For lengths adjustments, or non-static applications. 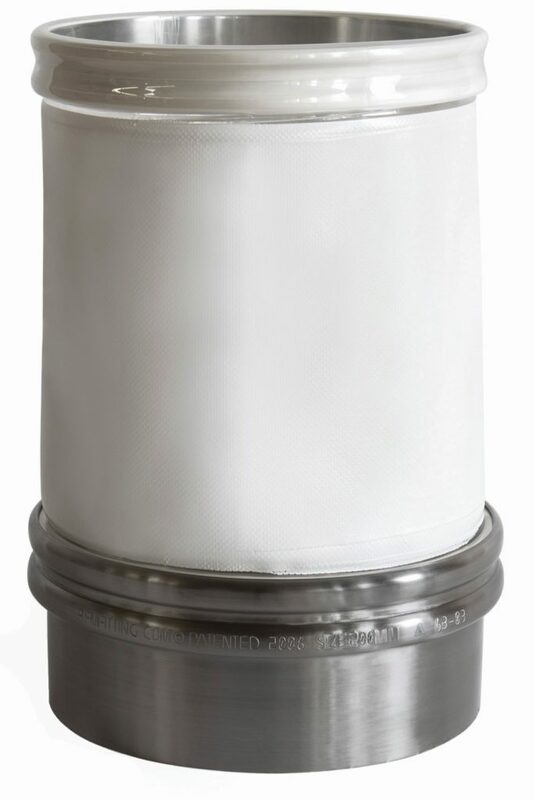 The Seeflex 040E Inner layer complies with: FDA CFR 177.1680 & 177.2600, (EC) 1935/2004, 2023–2006, 2002/72/EC USDA & 3A (20-). Is it possible to get Camlon connectors with any other inner layer other than Seeflex 040E? 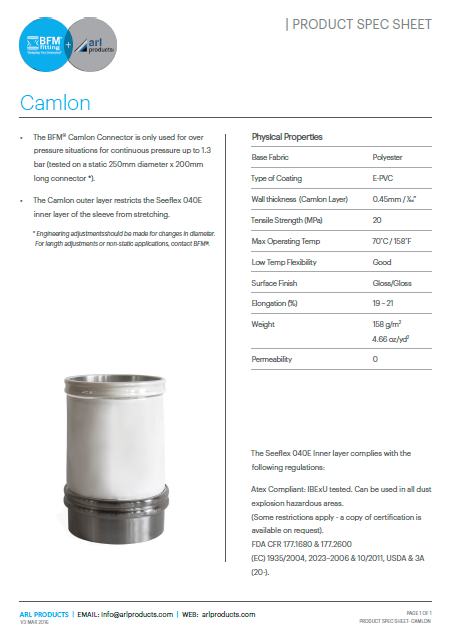 No – unfortunately Camlon can only be welded to Seeflex 040E inner connectors.